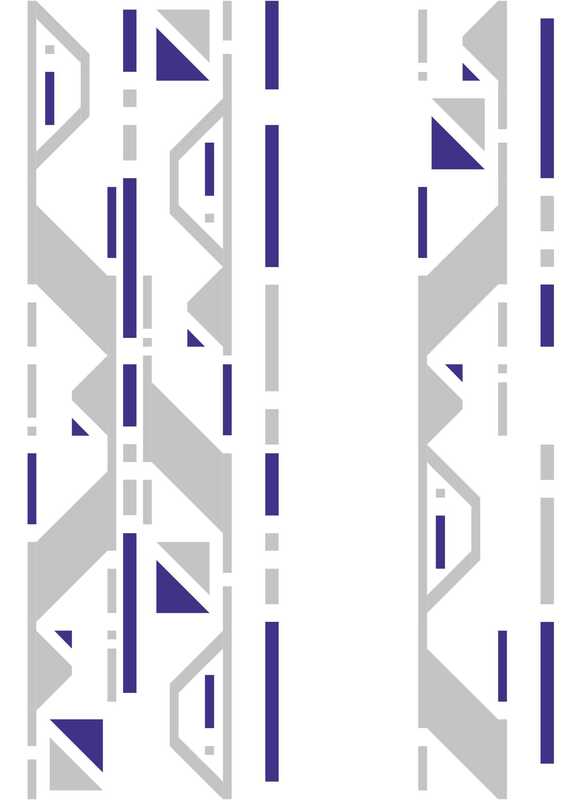 Home » News » Announcing the #DroidQuiltAlong ! 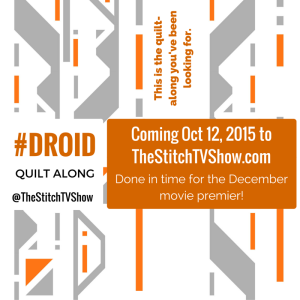 Update: The Droid Quilt Along is over, and the pattern is now available in our pattern shop as a PDF download. Lynn and I are very excited to announce our very first quilt along! Some of my favorite memories as a kid are squashed onto the couch with my family watching classics like Star Trek, Battlestar Galactica, and Buck Rogers. My earliest memory, though, is being four years old and standing in line to see Star Wars next to a giant cardboard cut out of R2D2 and C3PO. I still have my original action figures, and Luke Skywalker comes along with me as my Emergency Jedi with my hand sewing travel project. 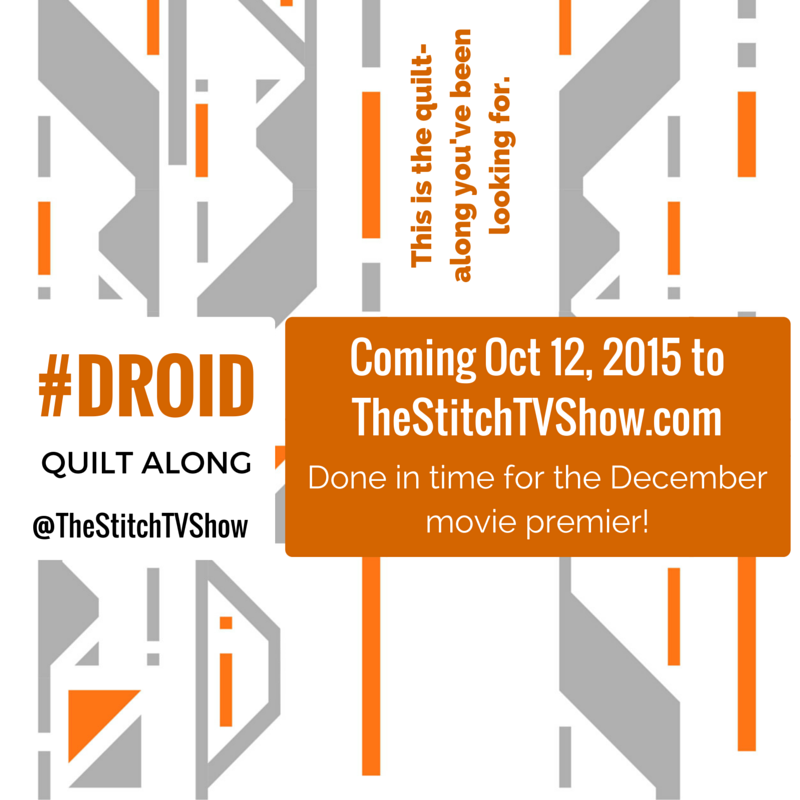 So, without further ado, we bring you the Droid Quilt Along: a quilt inspired by the droids of Star Wars. The idea is that the quilt front is done with basic tone on tone or solid fabrics, and you go nuts with all the new licensed Star Wars fabrics on the back. Of course, it’s your quilt, so do whatever you want! It goes without saying that Star Wars is a registered trademark of the Disney Company, who we love, and don’t want to get sued by, so this whole quilt along is free. Update: The Quilt Along is over, and the pattern is now available in our pattern shop as a PDF download. We’ve built in a couple catch up weeks since we’re nearing the holidays. There are four basic block designs, and the most you make of any of them in a week is 5. That count is for the larger size, the twin size (65 x 90″), and there are fewer blocks for the lap size (65 x 65″). So, we hope you’ll join us! I’m confirming the fabric requirements this weekend, and will post those early next week to give everyone a jump start before the first cutting instructions go out. 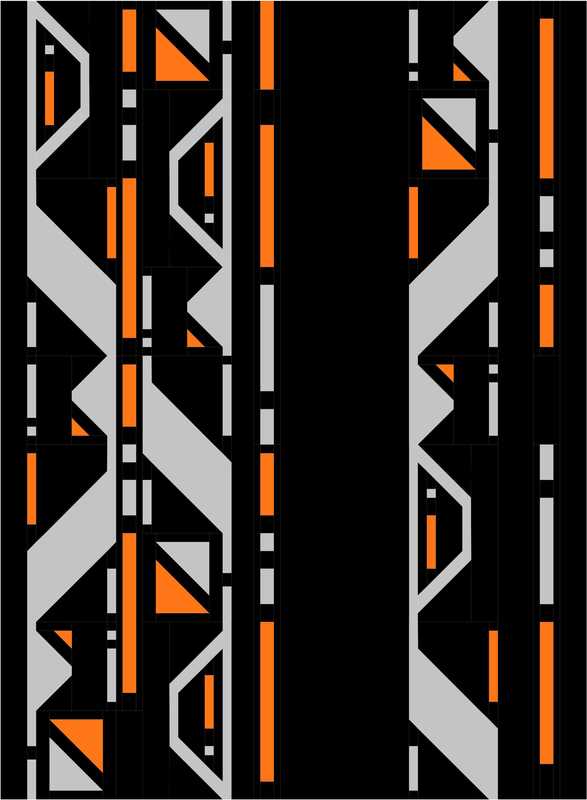 In the mean time, go ogle the new Star Wars fabric and figure out which prints you want on the back of your Droid quilt! Cool! I hope I can carve out some time to play along. This looks fun! I’m in!! 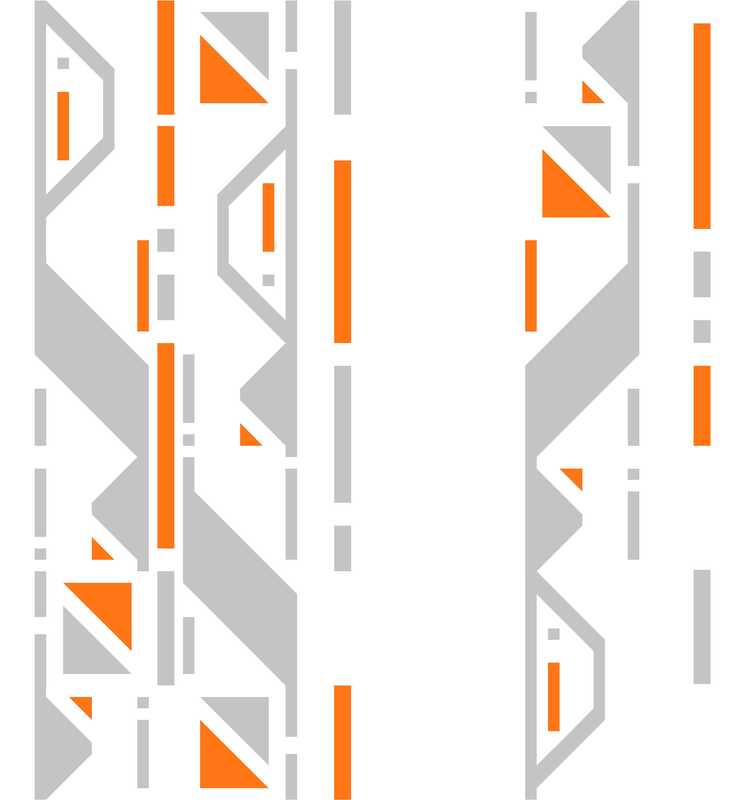 I love the orange and black, however DH would probably like the blue and white and he is the intended recipient. Plus we have a mostly white dog and dog hair camoflauge is paramount!! I can’t win at dog fur camouflage–we have a black lab mix, a white and gray husky, and a black and tan beagle mix! I’m excited! I’m going old school R2D2. I saw the original 1977 Star Wars in the theater 5 times back in the (pre-VCR) day, so it just feels like the right thing to do. I’m going to the Dark Side for sure!